Home / feeling / friends / indiblogger / thank you / Indiblogger : Thank you all. 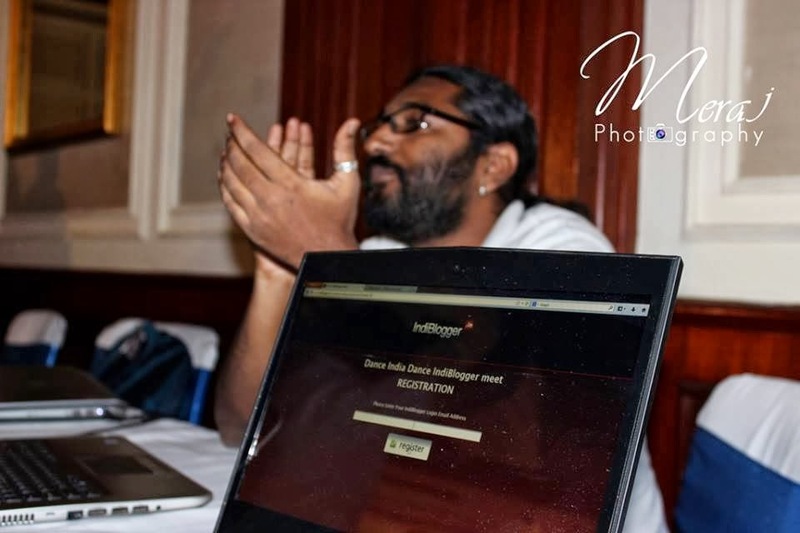 Indiblogger : Thank you all. Tushar Kumar Singh– The “ first” blogger friend I made in my very first meet at the bluefrog. The technical wizard I knew who was a blogger as well. My first friendship at Indi started with him. Abhishek Talreja- He was the 2nd one in the same meet and the 1st food blogger. We talked at length that day. Be it the prize I won on my tweet or the long chattering walk back to the qutab minar metro station. I remember it all. His food obsession is what lead him to be known as the Sanjeev kapoor of indi. I had known about some names in the meet coz some names were simple to remember, some faces awesomely beautiful and some faces and names a deadly combo of just wow….. (yes you are guessing right what I am trying to convey). Geetanjali Kaul- My backbone and my biggest support for all the craziest things I have attempted uptill now on my blog. She is always patient, always listening to what I have to say and then she finetunes it with her suggestions so that it looks awesome. Imagining things without her in my most trying times- simply not possible. Thank you for being there…. Simardeep Singh– The smiling and the loudest sardar when it comes to shouting and screaming for prizes. God forbid your earbuds if you are sitting close to him and there is a shouting competition for prizes. Just call him and he can come just to meet you. Meraj bhai – Met him the same meet as Simar. An ace photographer who lets his photos do the talking everythime. He knows at every meet there would be one order from us – Meraj bhai photo kheche bagair jaane nahin denge and then select few of us would line up for our turn everytime. Some of my best natural clicks are his making. Arvind/Sangita passey – The veterans of Indi meets. (I thought I broke their record with 12 appearances.) He is knowledgeable on every thing on this planet and his creativity with the camera and lens and she is the most simple, a bit shy lady I have met in my life uptill now. They`ll speak to you like mature people yet will come down to your understanding level for discussion that you`ll get a feeling you are talking to a friend in reality. Nimi Vashi – The girl with an awesome smile and a striking personality. She can charm you with the girl next door charm and yet beat you hands down in any argument. An avid book reader, has a treasure trove of information in her. One of my best friends since the start of the Indi journey. Aditya Bhasin – He is crazy in a different way. Up there to help people to the best of his capability. Has knowledge about technology, books and what not. Spot him in any indi meet with his trademark aditya bhasin t shirt. Murtaza Ali – The movie man in my circle of pals. He is a walking world book encyclopedia on movies. Apart from that he is there to help at any time and surely can talk on any topic. Prateek shah- The man who made me laugh, headbang and enjoy myself in the 2nd meet. That no. 75 is still etched in memory. I remember his happiness activity even after a year. He is doing what he does best and that is spreading smiles around and making people happy. Priti Singh – Its hard to find this girl at the meets now but she is both awesome with the camera and the even more awesome work she does with her creativity. Khandujas (Jaideep Khanduja/ Poonam Khanduja?Charu Khanduja)– I don’t remember exactly the first time I met them. The best smiling family I have met in delhi quite regularly now. They exuberate so much warmth when they meet you that its impossible to put that in words. The smile of Mr. Khanduja , the warmth with which Mrs. Khanduja talks is just unbelievable. I can say that they are a family for me away from my family. Mind blowing. Saumya kulshreshtha – Should I write about her as a blogger or as a poetess, I don’t know. Well I hold her in both esteems- a blogger who can write emotions and a poetess who can covey them beautifully and yet make you cry bucketfuls in her every line. Not found in blogger meets but instead at the poetry ones. The girl who introduced me to my poetry group PACH. Gautam sehgal- The dehradun guy who can pack his bags overnight, come to an indi meet and then head back again. The man tailor made for craziness just like me and can help in measures only I know. Shilpi Dutta– My partner in crime. The boring the meet, the crazier are our selfies. She can be drop dead gorgeous one minute, extremely emotional the next. You really need hours to understand her for she has that many shades to her nature. The prankster of my group. Gurpreet singh tikku – I remember meeting him at the b bar meet. He is a perfect ally to Simar. With a broad smile, an always ready appetite for food and an even bigger hunger for poetry, he is a smiling character all because “kehta hai tikku”. Cyril Sebastian – With me from the start. Its always special to see him. Very seldom seen. Can talk on anything and even share a hearty laugh on what do his parents think about blogging. Some of the best laughs are still a secret between us. Sheetal Ramsighania– Accidently met her during those intro games at indi. Came to know her more and she has emerged as the forgetful, chirpy, sweet girl who can be so forgetful that I better not mention it. Heads over heels has a crush on Vikas khanna. Will talk about not being able to come and then suddenly would show up the most unexpectedly. The chatterbox who can have you in splits in seconds with her talks. Priyanka dey- Another of the first ones but its another matter that I got to know her after a few meets. The girl who would be there with a a smile and is quite a livewire. She can change both the mood and the temperament quite fast. Rare to find in the meets. Paddu menon- She is not an Indi person but I consider her one due to the fact that she came in touch through that. Fondly called as teachel ji ( no, it’s a deliberate mistake…no teacher) by me but knows how to taunt me, be sarcastic. The one who is always ready with a virtual cane stick like a teacher to sudhaaro me. Her Calvin and hobbes type fights with her lord /master is my most favourite part. She is the perfect shoulder to share your heart out and I know that she is smiling while reading this. Arsh Kapoor, Rahul Bhatia and Heena Juneja- I met these 3 in another meet recently. There is something which makes all 3 unique.By far Heena is the most quiet and cutest. Arsh and rahul more than makeup with their pranks and talks. An indispensable group of my life now. Neha Agarwal– The lady who is just sweet by my reckoning. Serious about work and that much more carefree about other things. She writes or whenever I manage to read, she just takes my breath away. Its ultimate I must say. Sorry Neha, words fail to come to me , you are that good. Kriti Sharma – Hard to describe. The tomboyish girl I know. My music teacher who would send me tens of songs on her free day according to the band I like. Just name any genre and she`ll send you customized songs based on your interest. Some of the best songs from one republic and poets of the fall is what she made me hear the first time. The female counterpart of Meraj bhai when it comes to the camera, she is just superb…but tickle her funny bone while she is shooting and that one photo can take hours as she would be busy laughing. She surely knows how to have a good laugh. Dipali Sharma – Tom and jerry, Israeli Palestine relations…that’s how I would describe my equation with her. Had she been infront of me right now, I would have had it until now. Knew her better when I was looking for my leibster nominations, frustrated her by repeatedly making her read my poetry group antics ( of late which she became a part). She can pen poems at anytime of the day/night, call me up at early hours to inform about the indi meets, can do really crazy activities but can be dam serious as well. Alok vats – Met him recently and he is just too good. The man who is soft spoken and with a helping nature as well as an equally inquisitive mind, he surely knows how to enjoy the lighter things of life. Knows how to instantly bond with people. It’s a quality that’s natural rarely to people. Devashree birari- They say keep the best things for the last but I say that keep the best, second last and last. I have not met her but she is a treasure only few get in their lives..and that too by chance. A person who has connected with me so well emotionally that its tough to pinpoint exactly that where was it that she seemed so awesome. Its very rarely that words fail me when talking about someone and this time it has happened to me on quite a few occasions. Mutually we both are one another`s biggest fans. I write and she feels it, she says and I understand in advance what she is trying to say. It’s a comfort level only select friends know and I am lucky to know her. She is just AWESOME.. The Indiblogger core team- (Renie Ravin, Anoop Johnson, Nihal, Vineet Rajan, Swati) : So you thought I`ll let you go this easily, huh?? Wrong guys.. You all are the reason what I am today. I can hold myself confidently in a gathering of 200-300 people at Indi because you people make it possible for me everytime. From the nervous wreck an year back at Bluefrog to the recent ones where you meet me with the same warmth, its phenomenal. Its good to see you all everytime. Its Anoop who makes it all light and peppy everytime, Nihal and Karthik who are the perfect hosts when he is not around, Swati who creates magic with the snaps, Vineet and Renie who work behind the scenes to make it all happen. It all leads to an experience at Indiblogger for which I come no matter what the situation. Lending an eager ear to hear feedback/ complaints, striving to make it better and doing the unforgettable experience to help me too…its just unbelievable for me. Consider yourself responsible too for the “Zombie” tag stuck with me even till now..
Should stop now before I go emotional again..
You all have touched my life in some way or the other during the course of the past one year/ recently. That’s the best I could do to say Thank you to all. I`ve tried writing more but many times words or emotions have choked me up. That’s the best I could do in the circumstances. Update in 2017: Why I haven`t mentioned blog urls of the said people ? This people touched me in more ways than I can ever describe. I met them as bloggers but regular interaction meant they became so close friends that I would always be it at a loss of words. What here I described 3 years back is how amazing these people are as friends. Bringing the blogger bit into it would dilute the feeling and I dont want that. Everyone here except Paddu Menon is a part of the Indiblogger network and is a blogger. My eyes welled up with this super emotional post. How indimeets have changed ur life is amazing to know. This deserves recognition for sure! Never came across someone so real and full of life like you Shwetabh. What a wonderful and connecting post! I think this is one of the beautiful posts I have ever read. Never came through such a nice words about myself :) Thank you Shwetabh for saying those words about me and placing me in this list. Ohh.. overwhelmed after reading such good words for me, Thanks a lot Shwetabh. Your poems are really touching,superb! I always wonder how you manage to write such masterpieces.. Keep it up Friend :) Best wishes! Shwetabh, only you can come up with an article like this and make us think again. Thank you so much for the lovely info you gave about me. And got to much more about many other fellow bloggers too.